Finding and buying a home in this competitive market comes with some challenges. Many Minneapolis home buyers are turning to new construction to find their dream home. And if you've purchased a newly built home, you may be asking if you really need title insurance for the closing process. The short answer is yes, so keep reading to find out why. Title insurance can prevent you and your lender from issues related to title discrepancies or past owners claiming rights to the property you just bought. In the case of new construction, many assume that title insurance is unnecessary because they will be the first owner of the property. However, the land your new home sits on can have many previous owners and if there is a discrepancy related to a previous transfer of title, this can pose an issue for you as you move into your brand new home. Your builder is responsible to pay all subcontractors that work on your new home. If your builder refuses to pay one of the subcontractors, they can place a lien on your property until the matter is settled. An owner's title insurance policy will protect you from any potential liens places on your property. Clerical mistakes made before you were even thinking about building a home can come back to bite you. If there was a mistake at the registrar's office or on a title transfer, this can impact your home purchase and closing. Purchasing title insurance can help give you peace of mind that all is in order as you sign on the dotted line. Your lender may require an owner's title policy in order to approve your home loan. While your owner's policy protects your rights and interests, lenders will also want a lender's title insurance policy to protect their interests when it comes to payment on your loan. If you are purchasing a new construction home, title insurance is a must-have when it comes to ensuring your rights are protected, giving you peace of mind through the entire closing process. Here at Twin City Title, we're here to help. We provide both owner's and lender's title insurance to help you when purchasing your newly built home. Preparing for your Minneapolis home closing can be overwhelming. From gathering documents to payments to make, there's a lot to remember and check off your to-do list. Home buyers and sellers alike want everything to go smoothly when it comes time for that closing. If you've been looking for a checklist for your home closing, look no further than our simple title company recommendations for closing day. If you are buying your next home, you'll want to be prepared so you can sign on the dotted line and take possession of your new home. Here's what you'll want to bring to your home closing. You'll want to bring a certified or cashiers check made payable to your title company. The amount of the check will be specified by your loan officer. You'll want to bring your own checkbook in case any additional charges arise during closing. This can include your driver's license, passport, or state identification card. If proof of sale of your current home is required by your lender, you'll need to bring your signed Settlement Statement and a copy of the Warranty Deed to your closing. You'll need to call your utility companies to set up your accounts prior to closing. If you are the seller, you'll still want to be prepared to ensure a smooth closing. You'll want to bring all house keys and garage door openers to hand over at time of closing. If you're married, you spouse will need to attend the closing. If there is another owner listed on the title, that owner will need to attend. Bring a list of residence for the last 10 years. If any major improvements have been made to your home, you'll need to bring sworn construction statements and and lien waivers. Prior to closing, contact your utility companies to get final readings and close your accounts to prepare for the new owners. Your home closing doesn't have to be complicated. Here at Twin City Title, we're here to help. When it comes to purchasing a new home, we know you're making a big investment for your family. If you're counting down the days to your closing, you may be interested to know that purchasing title insurance for your Minneapolis home can help protect you from five common home buying and closing issues. What does purchasing title insurance protect you from? Second sellers are those claiming part ownership in the home or property you are buying. Distant relatives and ex-spouses can sometimes come forward just before closing and claim part ownership or that the seller you are purchasing from has no right to sell the property. If a judge rules in the second seller's favor, you could be faced with buying them out and potentially lose your down payment and principal paid toward the house. Owner's title insurance can cover any losses you face such as attorney fees and court costs. Imagine getting ready to close on your new home only to be informed that one of your new next door neighbors has built a fence on your property. If they finish their project before closing, this could result in a property line dispute. Your owner's title insurance will cover the cost of any legal battle or any effort to have the fence or other item removed. Every once in a while, a mortgage can be posted incorrectly. Most thorough title searches will catch these mistakes, but if the incorrect posting is discovered after closing, there could be an issue with your title. Title insurance can help cover any costs to get the hidden mortgage straightened out and ensure your title is valid. Delinquent tax bills from previous owners can impact your closing and title. Some homeowners have received subsequent tax bills from previous owners after they have taken possession of the property. Your title insurance will cover your costs as long as you have the paperwork from title and tax searches on the property. One of the more common reasons for title issues is unpaid liens. These can cover past construction bills that have gone unpaid or unpaid child support. Once you close on your property, you will be liable for paying these liens when they are discovered - even after closing. Purchasing title insurance can ensure peace of mind and cover any extra costs that are discovered. Title insurance is a must-have for every new home buyer. As you enter the closing process, it will be helpful to know that you are covered from extra costs and issues associated with your title. Here at Twin City Title, we are here to help. Finding your next new home can be a rewarding process. If you've recently made an offer on your new home, you may be asking what's next is the home closing process. Twin City Title, your Minneapolis title insurance company, works with homeowners like you during the closing process. We guide home buyers with six main steps to your home closing as you head toward signing on the dotted line and receiving your keys. Your closing agent will oversee the closing process and make sure that everything happens in the right order without any delays. Your closing agent can be a title company, escrow company, or a settlement company. Some buyers seek advice from their real estate agent who works with these companies on a regular basis. Once your closing agent is selected, your escrow agreement is drafted. Your closing agent will review for accuracy and completion. Your deposit will go into an escrow account where it will remain until closing. A title search consists of a search of public records regarding your home's title. Title companies perform a search to identify any issues with your title like liens against your property and utility easements. Once your title search is complete, it's time to shop for title insurance. There are two types of title insurance. A lender's title insurance policy will cover the lender for the amount of your loan. The owner's title insurance policy protects the homebuyer for the amount of the purchase price. The party that pays for title insurance can be a negotiable item in your sales contract. Once purchased, your title insurance company will issue a policy for your home purchase. Your lender or closing agent must provide a closing disclosure at least 3 days before the consummation of your loan. This disclosure will help you understand all costs of your transaction including interest rates, monthly payments, and costs to close the loan. Your closing agent orders any updated information that may be required. After these updates are complete, the closing agent sets your closing date, time and location after confirming with lender and seller. Once your closing is set, you are on your way to a new home. Here at Twin City Title Company, we know that the closing process can be overwhelming. We're here to help you navigate these steps as you finalize the purchase of your new home. How is your Minneapolis title insurance calculated? Purchasing a new home is a big investment. First-time and seasoned home buyers alike can experience sticker shock with the costs of closing. One of these costs includes title insurance. So, how is title insurance calculated and what can you expect for your closing costs? A title insurance policy protects you and your lender from title issues. Your policy will cover any problems uncovered in a title search including liens against your property, disputes between prior owners over wills, clerical mistakes in courthouse documents, or fraudulent claims against the property. How is it typically calculated? Title insurance is based on the value of your property. Other factors that can affect your rate include the results of your title search, examination, and expected costs of any title defects. Title insurance is calculated by taking your insurance rate (determined by your title insurance company) and multiplying per thousand of your purchase price. For example, if your title insurance rate is 0.07% and your purchase price is $200,000, your title insurance cost would be $ 1400. How do you find a title insurance company? While some states regulate the title insurance industry, in most states you can shop around for title insurance and find the best rate for your home purchase. You can find possible savings by using the same title insurance company as your lender. Each title insurance company should provide a detailed quote to help you make the best decision. Here at Twin City Title Company, we're here to help. Browse our FAQs to better understand title insurance or use our title calculators to get an estimate of your title insurance costs. Purchasing and selling your home is a huge investment. You'll want to protect your investment with a company you can trust. Your title insurance company is one of the Minneapolis-based partners you will choose to protect your investment as you move toward your home closing. What does a title insurance company do? Your title insurance company serves both purchasers and lender's in a real estate transaction. Your title insurance company will conduct title searches, issue title insurance, and protect you from any unexpected title issues. While your real estate agent and lender may make title insurance company recommendations, it's important for you to do your own research before choosing. So, what should you look for when choosing a title insurance company? We have you covered with four things to look for. Your real estate agent and lender will both have recommendations for you as you move toward the closing process. These recommendations will depend on their current professional relationships and similar protections to their own policies in the case of the lender. As you do your own research, it's important to find out what their customers in real life have to say. You'll want to explore online reviews and ask for references from any potential companies you want to research. Strategically speaking, you'll want to make sure other customers found their service timely, responsive, and friendly. When it comes to your home investment, you'll want to find a company you can trust. Look for a company that is transparent and will provide or discuss their title search and escrow management practices with you. Most quality title insurance companies will base their policies on the American Land Title Association best practices. As you research, you'll want to know your title insurance fees upfront. Many title insurance companies will have additional fees for things like electronic filing, courier services, and documentation preparation. Be sure to ask on the front end what additional fees you can expect. Overall, you will want to look for maximum protection and reasonable rates. Choosing your title insurance company is an important decision in the closing process. Your title insurance should cover your home investment as long as you live there. You will want to ensure your title insurance company has the financial strength to cover any unexpected title issues and protect your investment. Here at Twin City Title, we are committed to being a title company that provides excellent customer service that you can trust. 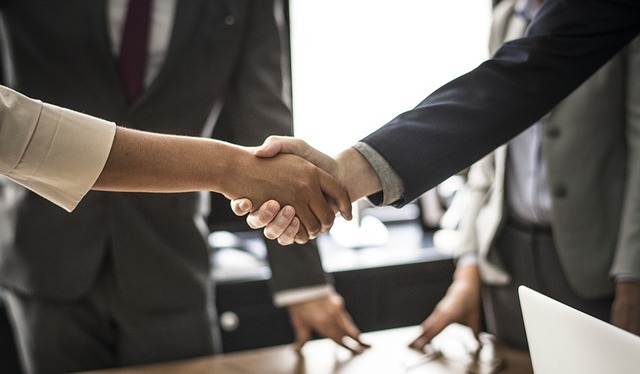 As we partner together, we seek to provide a smooth and positive title insurance experience for each transaction from start to finish. Purchasing a new home is an exciting time for any family. If you're in the process of buying that home right now, you may have questions about simple terms like "what is escrow?" and "how does it work?" In basic terms, escrow is a financial arrangement where a 3rd party holds and regulates payment of funds. 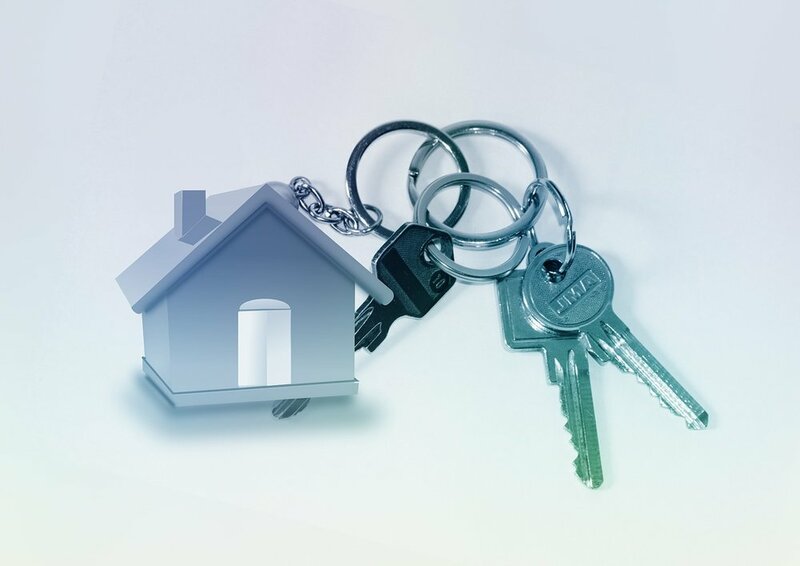 Escrow makes real estate transactions more secure by keeping payment in a secure escrow account that is released when all the terms of your real estate agreement are met. An escrow officer ensures your home closing goes smoothly. Typically a lawyer or a company representative, the escrow officer will hold all the important documents surrounding your real estate transaction until all the terms of the purchase are met. If you're in the middle of your own real estate transaction, you may be confused about the different types of escrow accounts. Once you make an offer, you will write a check for earnest money which is placed in escrow. This earnest money will not go directly to the seller until closing. Instead, it is held in an escrow account until you and the seller negotiate a contract and close on the home. A second type of escrow account happens between you and your lender. Mortgage lenders create an escrow account to pay property taxes and insurance. This is collected monthly along with your mortgage payment. After your closing and the purchase is completed, your escrow officer will oversee the final paperwork. This includes handling the exchange of funds, recording the deeds, ensuring documents are signed and recorded. Once all the requirements are fulfilled, you will receive a final closing statement in the mail. Still have questions about escrow and home closings? Twin City Title is here to help. We specialize in title insurance and ensuring that your home purchase and closing is completed with ease. Congratulations on the important decision to buy a new home. By now, your real estate agent has most likely discussed your need for title insurance for the closing process. Title insurance protects your interests and the interests of your lender should a title problem arise. If you've been wondering what kinds of title problems can occur, then we've got you covered with our list of 10 common title problems. Your title insurance company will perform a title search before issuing their insurance policy. An error in public records is a common issue that arises from clerical or filing errors. Any errors found could cause a problem with the title transfer. Illegal deeds are deeds signed by those ineligible to sign. Examples of illegal signers are minors, undocumented immigrants, those of unsound mind, or a homeowner who signs as a single but is really married. Forged or fabricated documents in the chain of title can be an issue for you at closing. Your title insurance company should do a thorough search before your closing date. Any boundary disputes on your property can cause a title problem. Neighbors or other parties can claim ownership to part of your property and claim that the boundary lines need to be moved. An undiscovered encumbrance occurs when a 3rd party lays claim to your property due to a former lien (debt), a restriction on building or remodeling, or a contract. The title cannot be transferred until this is resolved. A lien is put on a property when there is an unpaid debt in the owner's name. Liens can be put on a property for unpaid property taxes, unpaid homeowners association dues, unpaid contractor bills and other unpaid debt. Any probate issues from a previous owner's death can cause a headache for closing. Probate issues arise when a missing or undiscovered heir (someone who was possibly unknown to the rest of the family) discovers the sale and lays claim to the property. Your title company will do a thorough search and trace the title transfer from the very first owner to your seller. Any missing links in the title documentation is a red flag. A break in the chain of title can be caused by missing documents or clerical errors. When an owner forecloses on a property, the owner may lose the property but not the title. It is up tot he lender to notify all parties of the foreclosure. In the case that the lender fails to notify all parties, a problem with your title may occur. Off record interests are the least common title problem. This scenario happens when a person or legal entity has a say in the sale of the property but is not the recorded owner. An example of this is a separated couple. If the husband purchased the property when single and never added his wife to the title, he is the only recorded owner. If the couple separates and does not divorce by closing, the wife could have an off record interest in the property even though she is not the recorded owner. When it comes to closing, there are numerous problems that could occur with your title. Purchasing title insurance will ensure peace of mind throughout your closing process. Twin City Title is here to help both lenders and home owners with their title insurance needs. You can get started by using our title insurance calculators or ask a question through our contact form.